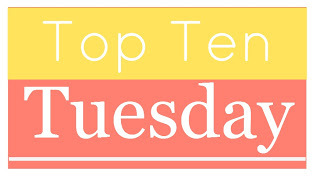 Top Ten Tuesday: Authors Who Deserve More Recognition ~ Love.Life.Read. This week we are discussing those authors we feel deserve more recognition. This is an intriguing one that could go all over the place--it will be intriguing to see all the different answers. 2) Wendy Higgins: since Sweet Peril and Sweet Reckoning almost did not get picked up, I think she is another author that deserves more credit that she gets. I would have been so sad if they were not published and now she is self-publishing See Me. 3) Robin (R.L.) LaFevers: while I have not read Dark Triumph yet, Grave Mercy was so beautifully written, I cannot imagine her other is not. Again, an author that I do not think is as well known though I did see Grave Mercy bookmarks while I was at ALA so maybe this is changing. 4) Cora Carmack: with her being a New Adult author, I think that it is a niche that is still in its infancy so those authors are not as well known yet. If you have not read her--she is amazing. This was a more difficult one for me this week. Not sure if it is the time of night I am writing this or if what, but the list of names did not come easily. What authors do you feel need more recognition? Are there authors on my list that are new-to-you? The inverse of this is those authors that you feel have gotten TOO much recognition. Who would you say fits into that category? :) that's the fun thing about this week's post--discovering new authors! I am glad to know there is more love for Wendy Higgins, Robin LaFeveres and Miranda Kenneally. I really enjoyed Cora Carmack's Losing It. It was hilarious and a great romance. It was great! It hooked me and had me held throughout the whole book. I had a great time reading it and laughing along with the characters. :) Happy Reading!